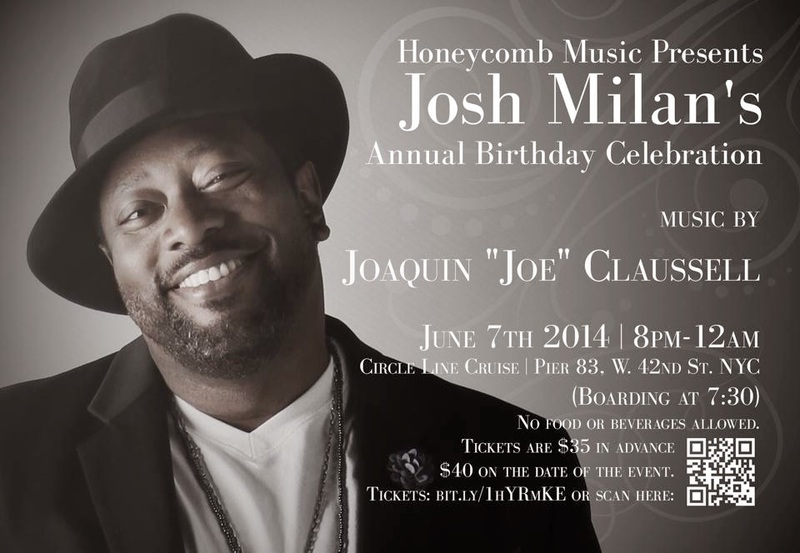 Nearly SOLD OUT for Josh's Annual Birthday Boatride in NYC SAT 6/7! "This is the 5th year that we're doing this." Josh says. "We've enjoyed every party so far. It feels more like a celebration of life for everyone. It's everybody's birthday. And Joe Claussell will make you believe that it is your birthday with the music he feeds us. I've been doing this for a little while now and I'm still not tired of it. I love it!" You heard him correctly. Joe Claussell will be on deck again this year. "We're making sure that we cover all grounds in terms of sound and entertainment" Josh continues. "I want these boat rides to be a part of everyones memory. Dawn Tallman will be performing songs from her long anticipated, unreleased solo album!!! There will be surprises for everyone." Remember, Circle Line Cruise's don't allow patrons to bring beverages or food on board. Violators will be escorted off the boat or placed in holding until we dock. There will be security. Every year we watch people running up to the boat as we pull off. Please come early. There are absolutely NO REFUNDS. You are responsible for coming on time.